In April 1993 Craig won the first of a succession of awards as a singer and song writer. This success continued on into 1994 and culminated in his winning "The National Capital Country Music Awards Australian Country Talent Seekers Quest" at Parkes in New South Wales. With two major awards and many other wins to his credit, Craig moved towards the professional ranks and dedicated the last months of 1994 to this goal by travelling the eastern states of Australia promoting himself and his independent album "Concrete Canyon Cowboy." In January of 1996, Craig was a grand finalist in the prestigious "Star Maker Quest" and as a result was picked up by the Southland label who released his second album, "If Only". The first single from this album entitled "F For Fool" has received good air play and has made it into a number of the independent country charts and in some cases reaching the top twenty and still climbing. 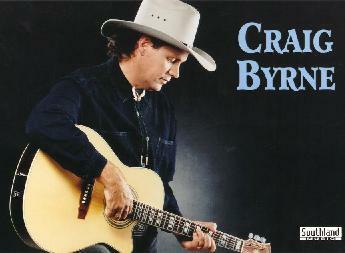 1997 saw Craig as a finalist in the Victorian Country Music Awards in the "Best Male Vocal" category. Increased recognition has meant an increased touring schedule with appearances in five states in the first half of 1997 alone. With the release of the albums second single and a number of major concert and festival appearances lined up for the second half of the year, there will be many more miles to travel before the year is out.